UPSEE 2019: The candidates can download their admit cards from the official website-upsee.nic.in . 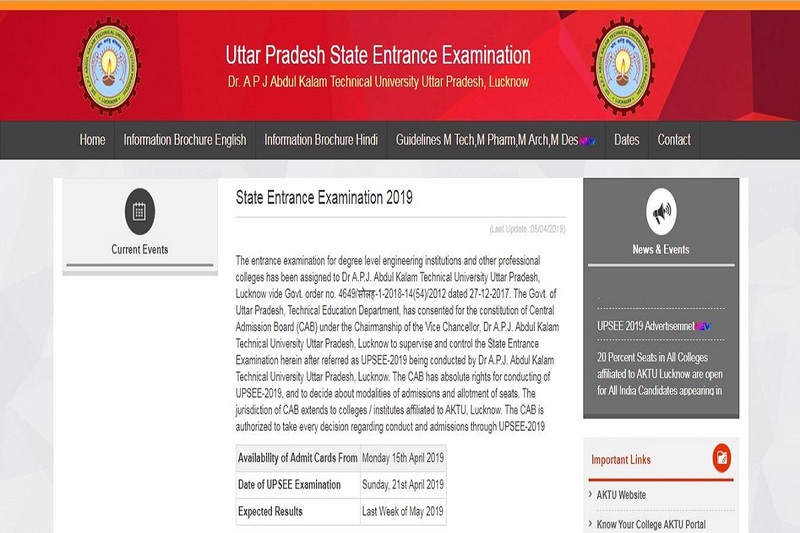 UPSEE 2019: Uttar Pradesh State Entrance Examination has released the UPSEE 2019 admit cards. The candidates can download their admit cards from the official website-upsee.nic.in . The UP State Entrance Examination will be conducted on April 21, 2019 and the results will be declared in the last week of May 2019. 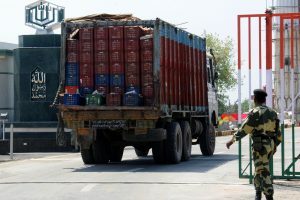 How to download the UPSEE 2019 admit cards? • On the homepage, click on the link that says, “Download Admit cards” and click on the relevant link. • On the page that opens, enter your details like the application number, password and security pin and click on submit. Direct Link: The candidates can download their admit cards by clicking on the link here. • Admit cards for B. Tech, B. Arch, B. Des, B. Pharm, BHMCT, BFAD, BFA, B. Voc, MBA Integrated, MCA integrated, M Tech Dual Degree. • Admit cards for M Tech, M Des, M Pharma, M Arch. • Paper 3: Aptitude Test for Architecture & Design exam will be conducted from 3.00 PM to 5:30 PM. • Paper 4: Aptitude test for General Awareness exam will be conducted from 9:00 AM to 11:00 AM. • Paper 5: Aptitude Test for Lateral Entry in Engg exam will be conducted from 9:00 AM to 11:00 AM. • Paper 6: Aptitude Test for MBA/ MCA will be conducted from 3.00 PM to 5:30 PM. • Paper 7: Aptitude Test for Diploma Holders in Pharmacy will be conducted from 9:00 AM to 11:00 AM. • Paper 8: Aptitude Test for Lateral Entry in Engg (Diploma Holders) will be conducted from 9:00 AM to 11:00 AM.